We all need some motivation from time to time. All the good intentions in the world are no good without the ‘get up and go’ needed to see results. 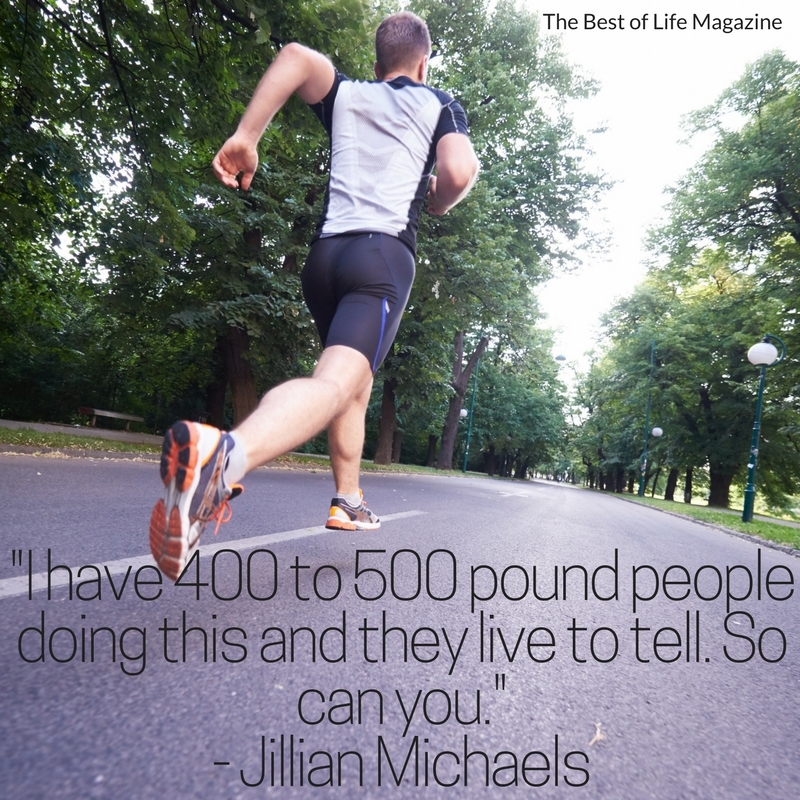 Jillian Michaels quotes from Ripped in 30 are some of the best. They showcase Jillian’s truly tough but fair style. She’s great a getting everyone moving and motivated. 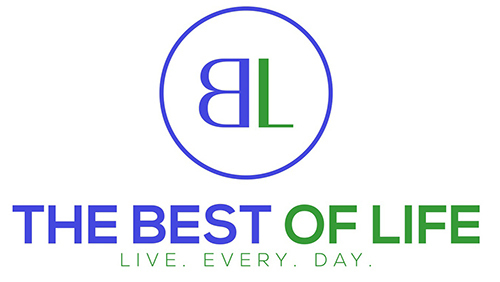 With her awesome quotes you can help any workout or healthy lifestyle change seem possible. If you find yourself struggling to stay on track I recommend you print these, memorize these, hang them around where you can see them, or just come back here everyday to check them out. 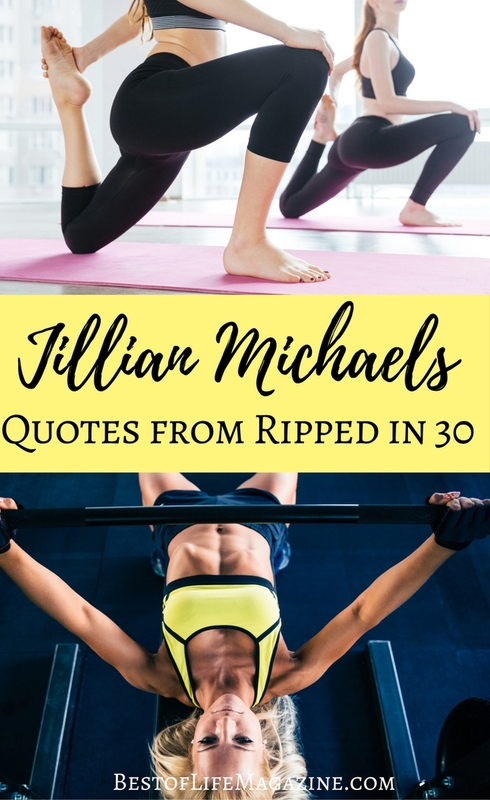 Jillian Michaels quotes from Ripped in 30 will have you ready to fight your way through any workout or rough patch. 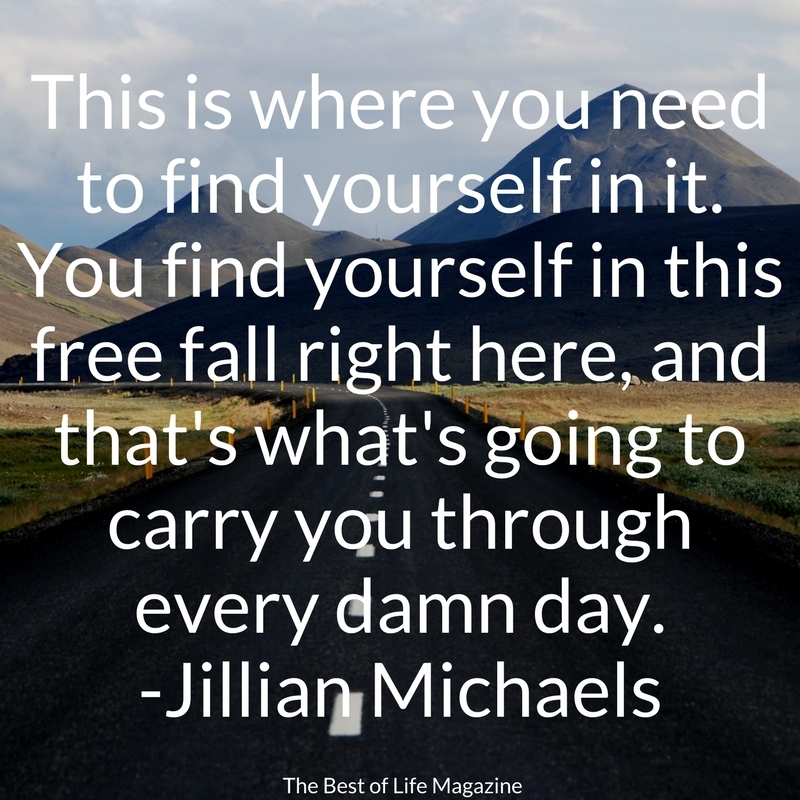 These Jillian Michaels quotes from Ripped in 30 are great because they apply to so much more than a workout. You can put these quotes to work in a lot of areas in your life. If you are struggling in any aspect of your life these quotes can help you pull through! If you are wondering how you can make these quotes look great for display in your home or office, you could print them and frame them. 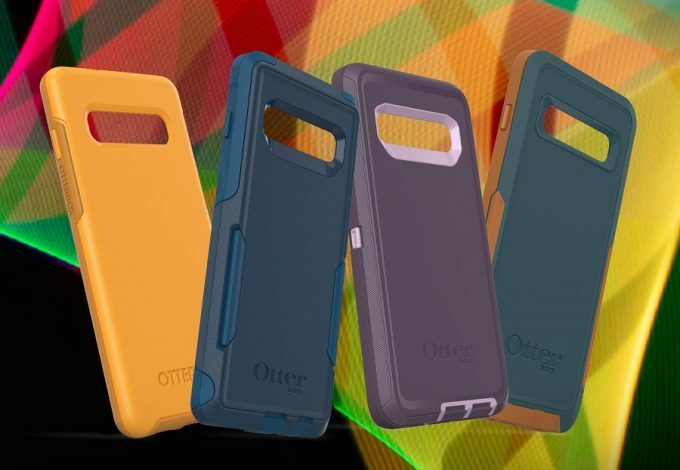 Use them as the inspiration for your next Cricut or Cameo project, or perhaps you just need a great smartphone to come back here see them. You can save these images for display on your computer background, share them on Facebook, or Pinterest so that all of your friends and family can enjoy them as well! Could this be any truer?!? I don’t think so. It’s incredible how much work it takes most days just to show up, but when you do, you can see results and totally life-changing effects. Putting in the effort, day after day, in all areas of your life can be truly amazing. In true Jillian fashion, this one is blunt but to the point. YOU have to find the strength within yourself. No one can do it for you. Once you find it, grab hold. As she so aptly puts it…it’ll carry you through every damn day after that! This one makes a lot of sense in Ripped in 30 because it’s not that much time! You’re essentially pushing really hard for 20 minutes. 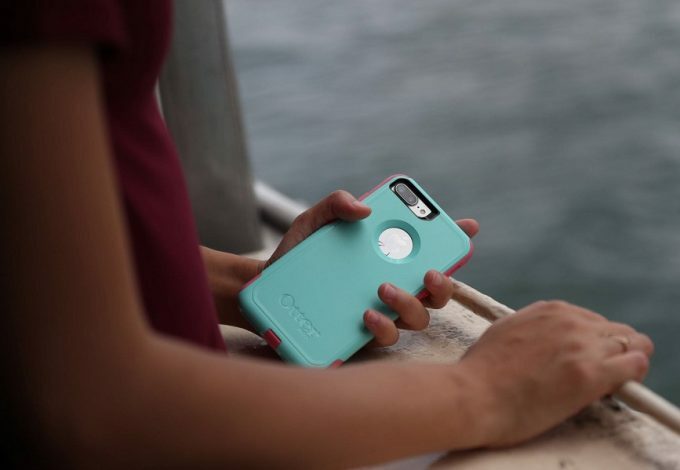 You have to bring it all, every time. If you do that you can be successful. This also applies to all other areas of your life. If you are not living fully in every moment you are wasting time, the one thing we can’t get more of! 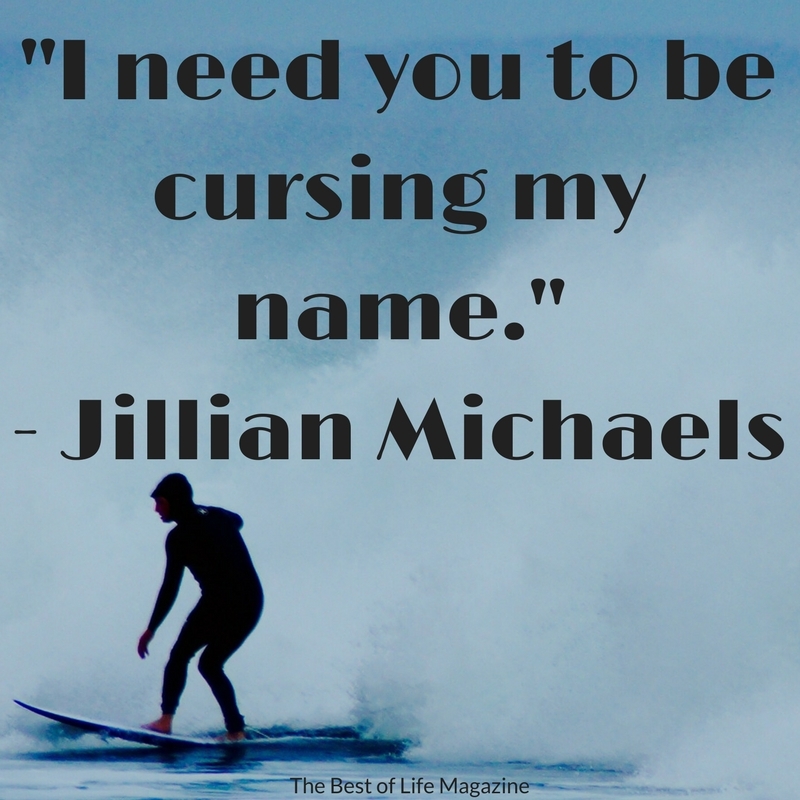 Jillian never holds back, these Jillian Michaels quotes from Ripped in 30 should prove that! She knows that some of us are in for the end result, that final look, the envious glares, and the appreciative smiles. So if you are looking to make someone jealous…work hard! 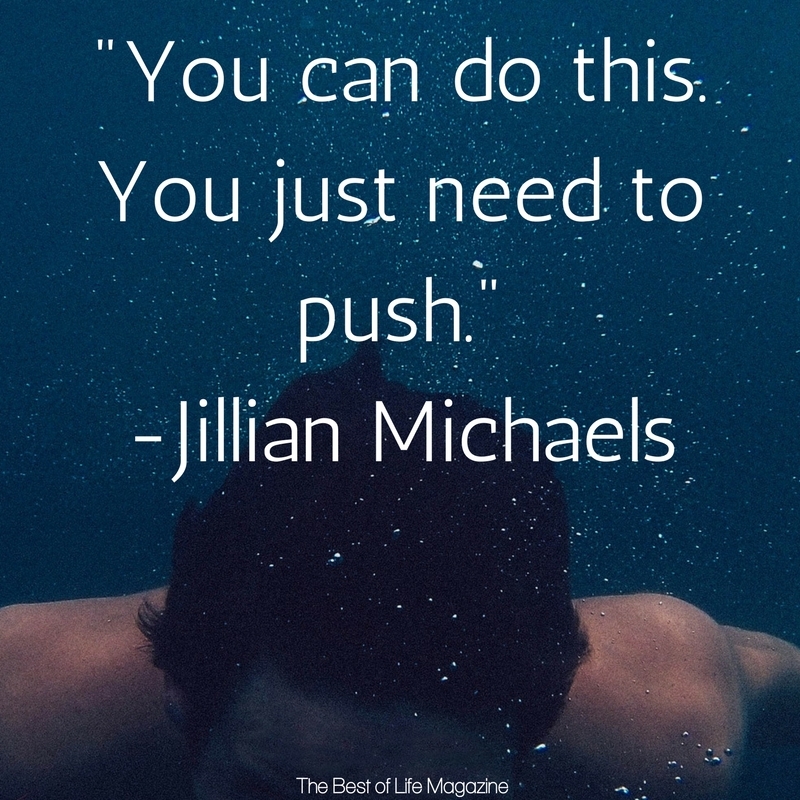 Listen to Jillian and get out there and push through everything she throws at you! In all things, workouts, and childbirth…you can do with a whole lot of pushing! Nothing is impossible if you just keep pushing forward. 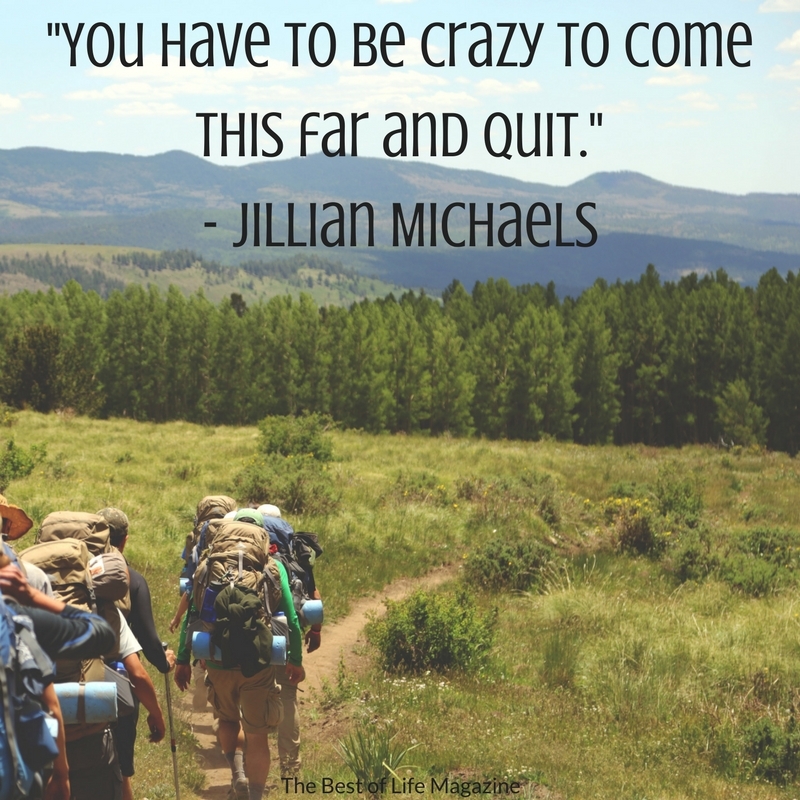 Jillian Michaels knows that and she’s not afraid to remind us…often and loudly. Our bodies do this amazing thing: they super fortify the places where we are broken. So you are actually physically stronger in places where you’ve been broken before. This is true in all areas of our lives. Once you live through something once, you come out the other side a stronger person. If it’s hard now, it’s making you stronger so that something else can be easier in the future! This one goes a long way! You can really see a transformation in people who learn to love themselves. You have to love yourself before anyone else can really love you. The same goes for gratitude and praise. Be proud of yourself every time you make it through a workout, you’re on your way to results! 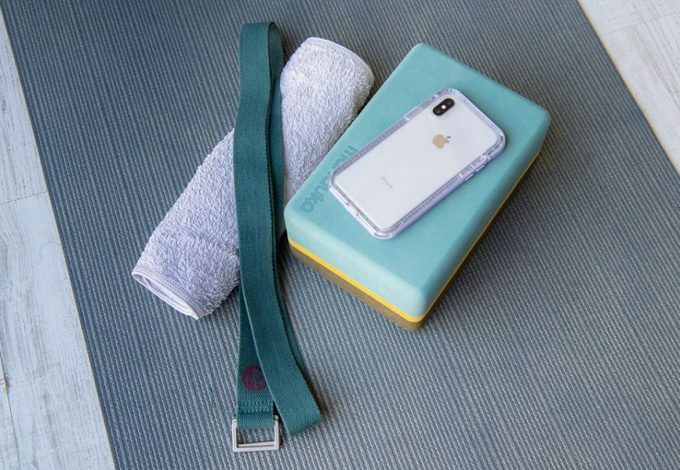 You might not see those dream results after just one day but you’ll be able to feel these workouts changing your body almost instantly. 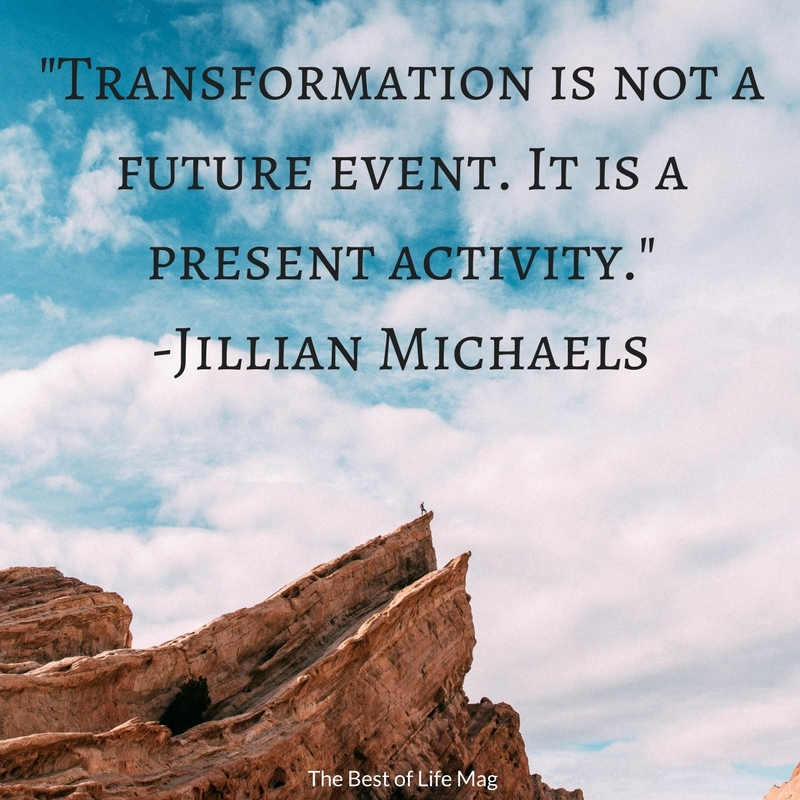 You can’t think of a transformation as something that will just be revealed to you one day down the road. Everything you are doing right now is helping you on that journey. You are creating your transformation minute by minute, day by day. Everything you put in will come out! Isn’t that the truth?! It’s amazing how once you set your mind to it and just look at it as 20 individual minutes, you can do anything. You can survive just about anything for 20 minutes, one minute at a time. Don’t give up just because it is hard. Just think, you only have to hang on for one minute at a time. It puts things in perspective to consider that there are people out there fighting against way tougher odds than we are! It’s always good to consider that when things get really tough in a workout or in life. This is a great reminder when those last few minutes are really starting to burn! You can do it! Don’t give up now. This is when those really great looking muscles are built! This is great advice overall, in life, love, and workouts. 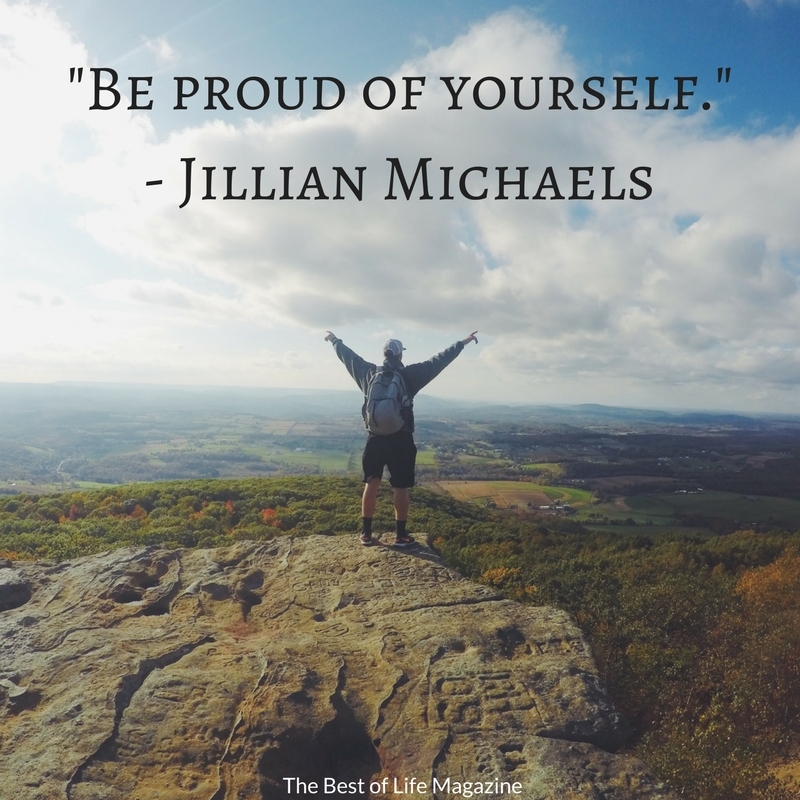 The best Jillian Michaels quotes from Ripped in 30 apply to all areas of your life! Don’t put anyone else’s crap on yourself. You don’t need their attitude, their problems, their responsibilities, their issues. Deal with your own stuff and let sleeping dogs lie. Stop looking around you to see what you don’t have because more than likely it’s just going to bring you a lot of headache and heartache. 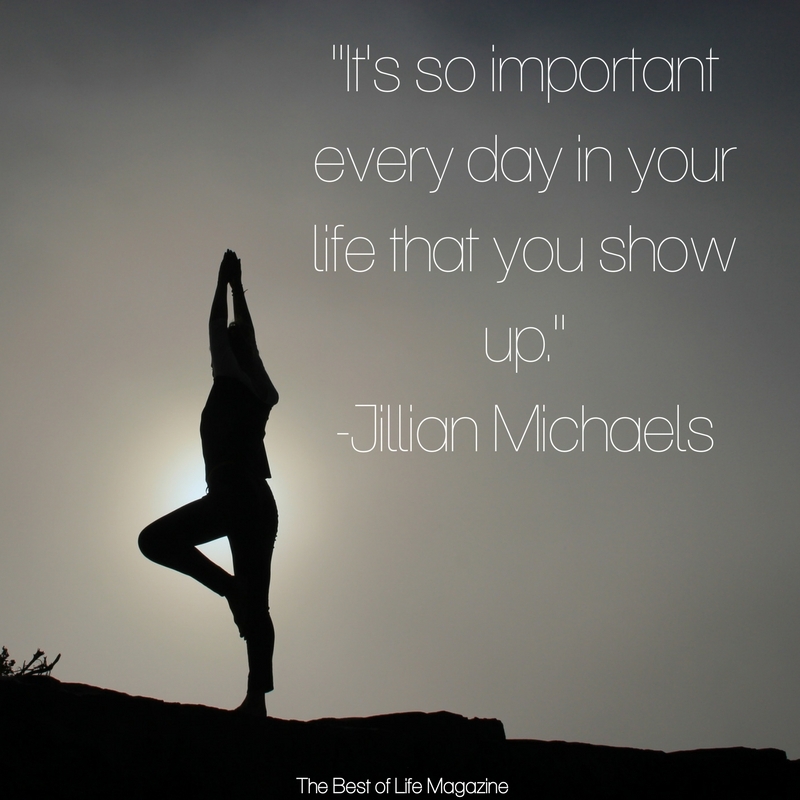 If the hardest thing you do is 30 minutes with Jillian you probably have the life everyone is after! There are way harder things in your life every day than those 30 minutes. Buck up, take this head on, and beat it! 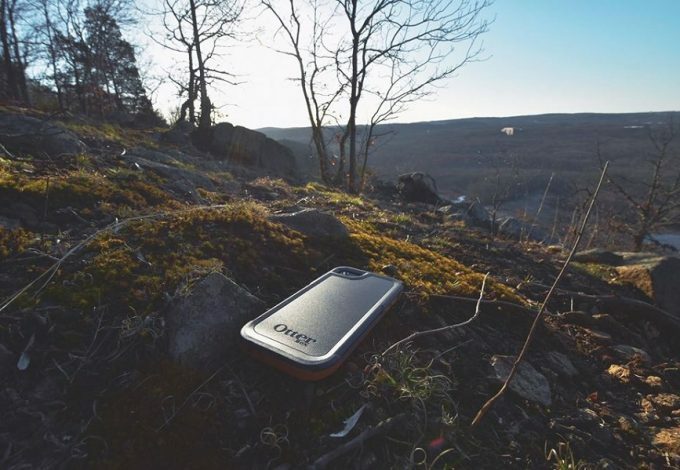 You’ll feel better knowing how tough you are when it’s over. 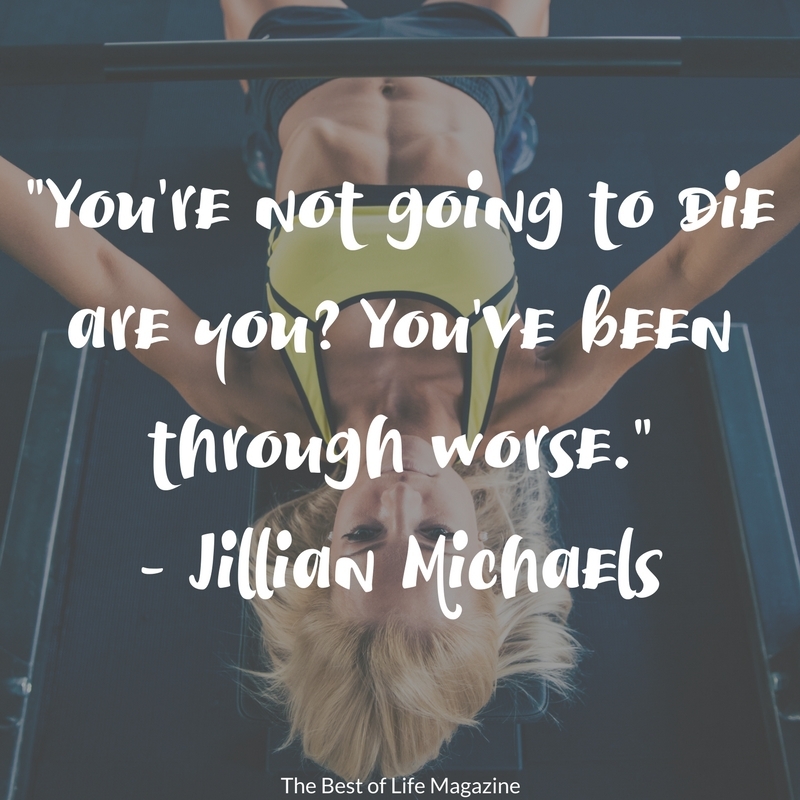 Looking for More Jillian Workouts, Recipes, or Inspiration? So inspirational quotes! 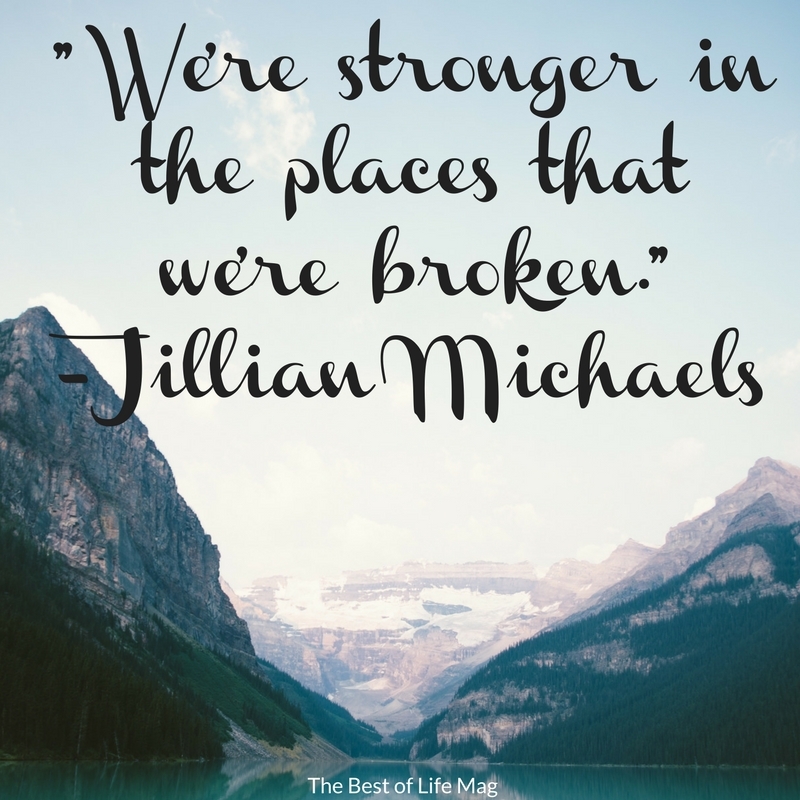 What I loved the most is the “We’re stronger in the places where we’re broken.” So right! We’re learning from our own mistakes. I have been looking into getting her workout program. 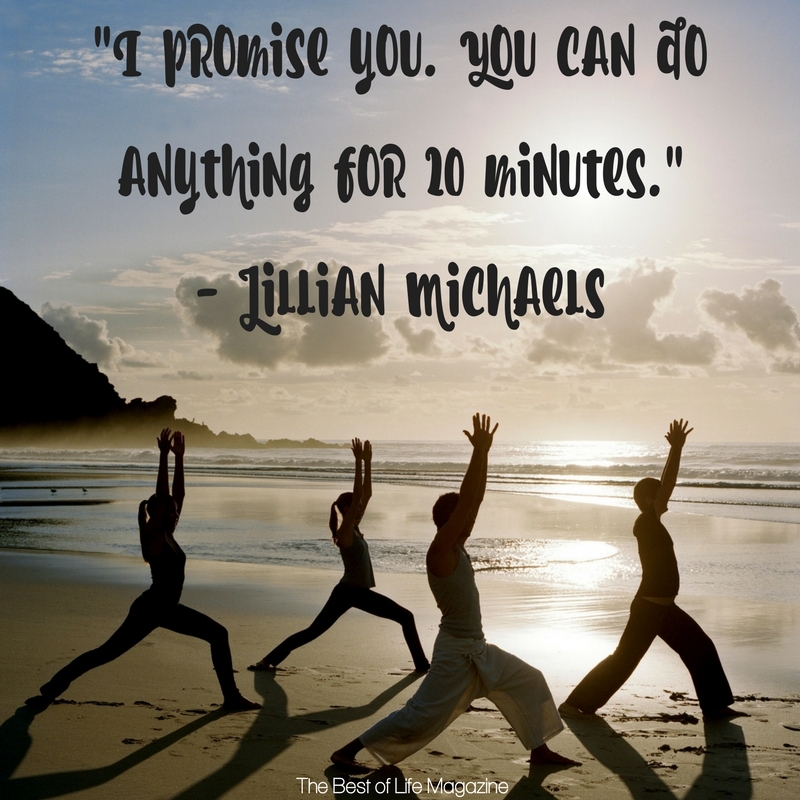 Jillian Michaels is a huge inspiration for me. Growing up, my dad used to tell that effort was everything. He would say, skill is 10% of the game and hustle is the other 90%. Jillian is such an inspiration to so many people. I know a lot of people that follow her tip and workouts. I like, “You can do this. You just need to push.” We really can do anything as long as we push hard enough. We may not be successful the first time, but if we keep pushing, we’ll eventually make it. I start reading idly and by the 3rd quote I was ready to get up and act! Even exercise crossed my mind. Great quotes to keep in mind daily. My favorite is about motivation. That is something that inspires us to pursue anything for ourselves and for the people that matters to us.